I’m not sure where blogs will be twenty or fifty years from now, but if Gal Meets Glam is still up on the internet, I hope I’ll be able to scroll through my old posts and think “Wow, I still love that outfit!” Some pictures of my mom and grandmother from years past always make me feel that way, along with practically any image I see of my favorite style icons, like Audrey Hepburn, Lauren Bacall, and Katharine Hepburn. The joy I find in these images is about much more than simple outfit inspiration; rather, I love the peek into the personalities and day-to-day lives of women I admire, and the chance to learn a little more about them through what they were wearing. “What was she thinking about when she got dressed that morning,” I wonder, “Who did she spend the day with? What adventures did she take in that outfit?” I’ve learned over the years that dressing with intention and truly loving what you’re wearing can make even the most ordinary days feel special and memorable, and it makes me smile to think of the women in these photos feeling the same way. The key, I believe, to personal style that is admired through generations? Fully embracing the classics. Pieces as timeless as a tailored blazer are often worth investing in, but even if you’re on a budget, you can still achieve a beautiful, classic look that you’ll continue to love years from now. This cozy blazer features so many details I love for fall–warm colors, a traditional herringbone pattern, and a silhouette that’s slightly boxy and menswear-inspired, but still undeniably feminine. Wear it over your favorite white tee now and a thin turtleneck later for a classic look that carries you through the entire autumn season. I have a whole new love for the versatility of neutral suede pumps like these since we started pairing them with Gal Meets Glam Collection dresses for our e-commerce shoots! The beautiful texture and comfortable block heel make them appropriate for just about any outfit or occasion. These Sam Edelman ones are similar to a Loeffler Randall pair I love, but they come in at less than half the price tag. While I’ll forever be a fan of classic flats, some occasions, situations, and workplaces call for the confidence boost that comes from a pair of heels. Especially perfect for anyone who prefers a lower heel, these suede block heels are made even more elegant by a pointed toe, and I love the rich, autumnal colors they come in. Evoking visions of prep schools, fall leaves, and F. Scott Fitzgerald novels, this houndstooth blazer could fit right in across multiple generations. 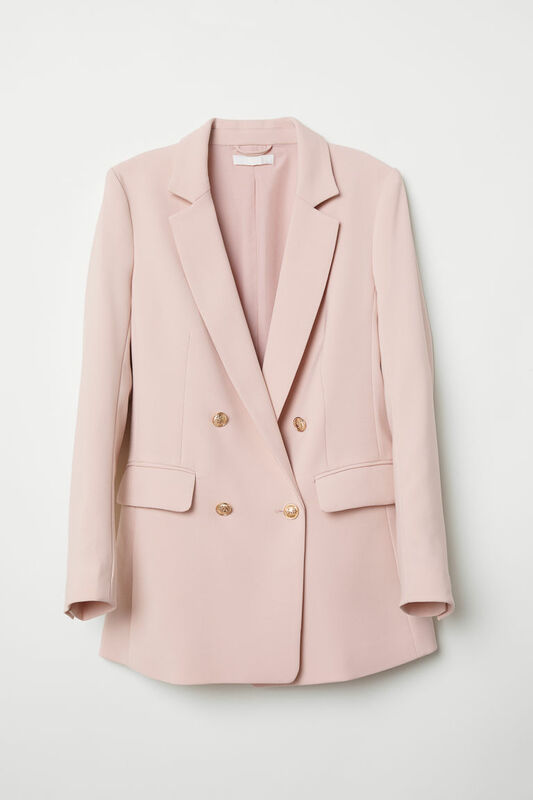 It’s exactly the type of piece I can imagine admiring in old photographs (with my fingers crossed that my mother or grandmother still had the blazer stashed away in a box somewhere)! If you’re on your feet or on the go all day, opt for a low block heel with an elasticized back to ensure maximum comfort without sacrificing style. This pair comes in 18 different color/fabric combinations–my favorites are the Pecan Soft Leather and Olive and Pink Suedes. P.S. The women on my team who are mothers insist they could even wear these out with their toddlers. I reach for my Chanel cap-tone slingback pumps constantly in the fall–they pair especially well with dresses, put a sophisticated spin on any outfit, and feel both vintage-inspired and modern (a style I’m forever drawn to). This pair looks incredibly similar, so I’m willing to bet the cost-per-wear will end up in the pennies. As you may have noticed by now, I’m not one to shy away from wearing pastel hues throughout the year; rather, I’m always on the lookout for cold-weather pieces in my favorite shades of blush and blue. This tailored jacket is the perfect example, and since it isn’t too heavy, I know I’d wear it through both fall and spring. This ultra-wearable houndstooth suiting blazer is easy to dress up or down. I love the simple silhouette and elegant autumnal color palette. An item you’ll find on every list of closet must-haves out there, it never hurts to have a chic, perfectly tailored black blazer in your wardrobe. Slipping it on = instant confidence boost! A simple cut and buttonless front make this under $50 blazer easy to throw on over your outfit and go. Roll the sleeves up for a more casual look. Plaid blazers may officially be my favorite thing to wear this fall. This version features the prettiest green and toffee plaid and a menswear-inspired, double-breasted front. A simple tee keeps all the attention on your blazer of choice. This organic cotton option has a feminine cut, isn’t see-through, and falls to the perfect length to tuck into jeans. I love to incorporate loose ribbons and bows into different hair styles. It always makes me feel polished. I have and love jeans at all different price points, but my Everlane pair is consistently a favorite. The high rise and just-above-the-ankle length flatter every body type. I love wearing skirts in the fall because they’re so easy to mix, match, and layer with a blazer or jacket. I rounded up 12 of my favorite options in the most irresistible textures for the season in this recent post. Your classy look suits you wonderfully! I’m trying to put together a wardrobe that can be worn over seasons and over the years. This is such a helpful post! Thank you! Love ♥️these timeless slingback … always a classic look! Love your outfit entirely! Also, I love all the classic pieces. I love classic fashion, and I love the colour palette too! Love all these classic pieces! Definitely going to add some of these to my collection!! Loving this new series and absolutely agree with these timeless pieces! I am all about items that I will wear year after year! That’s exactly how I want to look back at my photos too! You nailed these timeless pieces! I love the classic blazer styles. A blazer is a great closet staple. I agree, a good blazer really does stand the test of time! In love with all of these heel recommendations! <3 :) And that blazer is gorgeous! This whole look is gorgeous! Beautiful selections! I love these Gal on a Budget series. They’re so nice and inspiring!